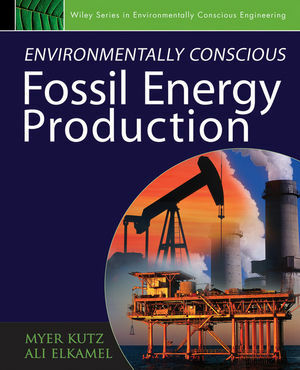 Turn to all of the books in the Wiley Series in Environmentally Conscious Engineering for the most cutting-edge, environmentally friendly engineering practices and technologies. MYER KUTZ is founder and President of Myer Kutz Associates, Inc., a publishing and information services consulting firm. He is the editor of the Mechanical Engineers' Handbook, Third Edition (4-volume set) and the Handbook of Materials Selection, both published by Wiley. 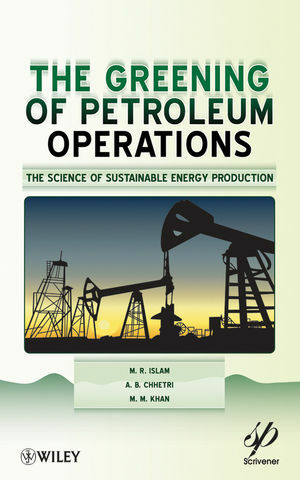 ALI ELKAMEL, co-editor of this volume, is a professor in the Department of Chemical Engineering at the University of Waterloo. He holds degrees from the Colorado School of Mines and Purdue. 2 Carbon Management and Hydrogen Requirements in Oil Sands Operations (Ali Elkamel, J. Guillermo Ordorica-Garcia, Peter Douglas, and Eric Croiset). 4 Maritime Oil Transport and Pollution Prevention (Sabah A. Abdul-Wahab). 7 Clean-Coal Technology: Gasification Pathway (J. Guillermo Ordorica-Garcia, Ali Elkamel, Peter L. Douglas, and Eric Croiset). 9 Energy and Exergy Analyses of Natural Gas-Fired Combined Cycle Power Generation Systems (K. Mohammed and B. V. Reddy).